Everyone that books a B&B on any members website or our own network of portals, directories and regional website will be invited to join the Blue Circle Club. Once we go “live”, B&B Owners last minute deals, special offers and discounts will only be available to BCC Members. This will make BCC the best value on the Internet. BCC Members will have full access to all B&B Owners directly by Phone, Email or Direct Booking. 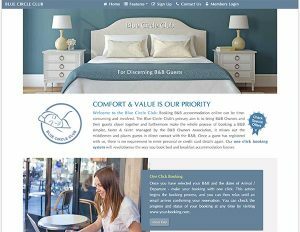 We hope B&B Owners will help promote this new initiative website as it encourages Direct Booking and the benefit that brings. Are you really getting the best room rates? Unlikely. 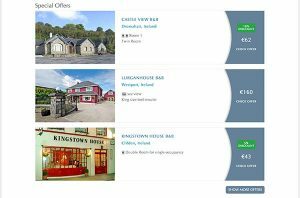 Booking directly allows a B&B to keep more of its profits to re-investment in their B&B and maintain the standards for guests. Booking directly means your payment stays in the country and helps the regional economy rather than the profits of a multinational OTA. As guests tuck into and enjoy the inclusive breakfast, they should ask themselves, who deserves your hard-earned cash. Booking on the BCC website means NO Commission for our members and just a small commission for our Associate Members.